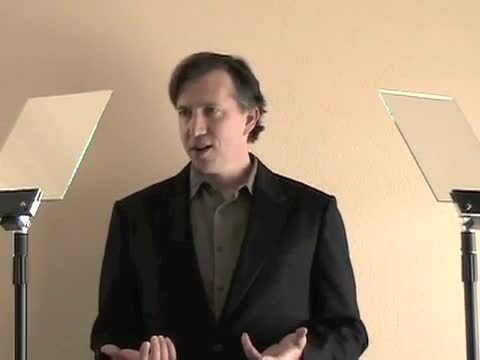 My team and I offer teleprompting services throughout the Northern California Bay Area including San Francisco, Sacramento, San Jose, Marin, Silicon Valley, Monterey, and yes, worldwide. We help you look natural and deliver a powerful, authentic presentation. Do you need teleprompting services right away? 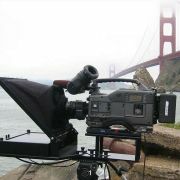 Want to rent teleprompter gear? Need executive training? Or just need advice for choosing gear? We also offer direct-to-camera interview equipment like Errol Morris' Interrotron and the EyeDirect Mark II. We proudly manufacture and sell our robotic rise-and-fall presidential teleprompter systems called the Telestepper. They're solid and reliable. We look forward to saving you time, money, and stress. Please contact us today. Teleprompting for San Francisco, Silicon Valley, Sacramento, Monterey, Napa, San Jose, and around the world. How a robotic teleprompter can make your live events effortless.